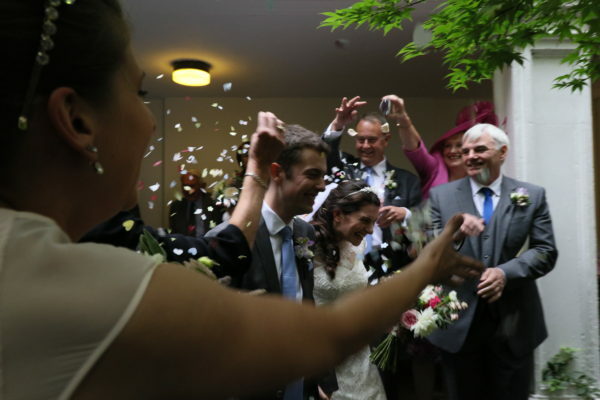 Summer arrives and so do the bookings for weddings. This July wedding was a joy to work on. 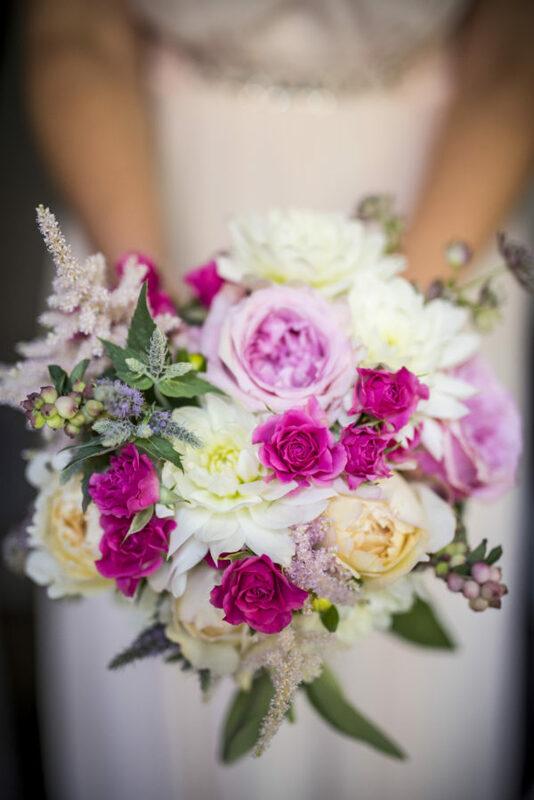 Rachael gave me an idea of her colour scheme and with that we looked at seasonal, pale blush roses and peonies, sweet peas, little touches of darker pinks with a soft greens. I always try to incorporate, where suitable, some herbs. I can’t help myself probably because my other career is as a food stylist and cook. 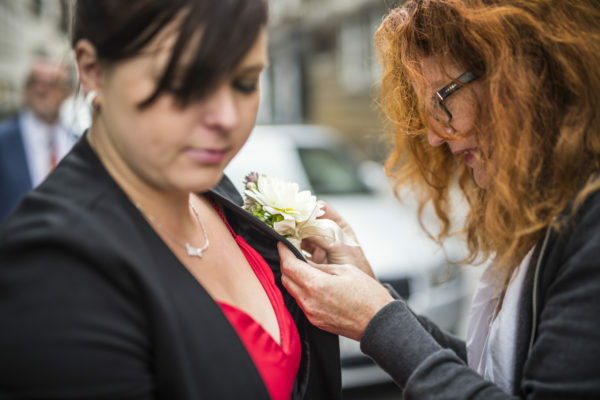 The highlight of the day for me was pinning 20 – 30 guest’s buttonholes and corsages outside the church. It was such a lovely atmosphere. Al Richardson, their wedding photographer managed to get a snap of me mid flow. This entry was posted in david austin roses, snow berries, summer blooms and tagged beautiful flowers hackney.